I had a list of things to do this week. Some of these things will make me money, some might make me money and some definitely won’t. I would like to believe that some of the speculative things I do will lead to other opportunities. Over the last few months my earnings have come from three sources; a freelancing website, a self-publishing house and college lecturing. There’s nothing to guarantee that I will be able to depend on the same sources of income by the time July is here. There are things pencilled in, there are bits and pieces secured for later in the year, but I need to keep fishing and maintain a constant search for future projects. And really I still feel I need something small and stable that can provide consistent monthly security, a kind of one-day-a-week position that I can depend on, but I haven’t worked out what that is yet. But even without that, I seem to be very busy and always have a list of things to do. I can’t imagine that changing in July. 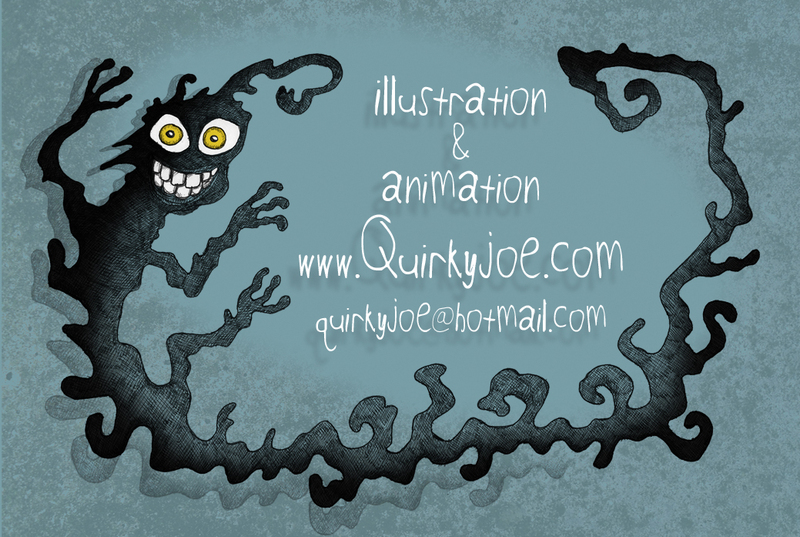 In the meantime, I will be promoting my skills armed with new business cards – designs shown below. 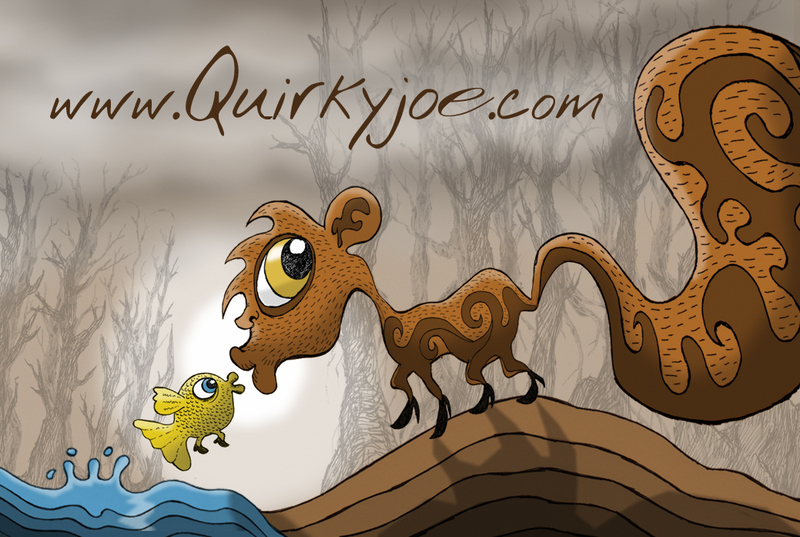 This entry was posted in Uncategorized and tagged animation, Business cards, fish, illustration, monster, quirkyjoe, squirrel. Bookmark the permalink.